History: 80 year old male with headache. 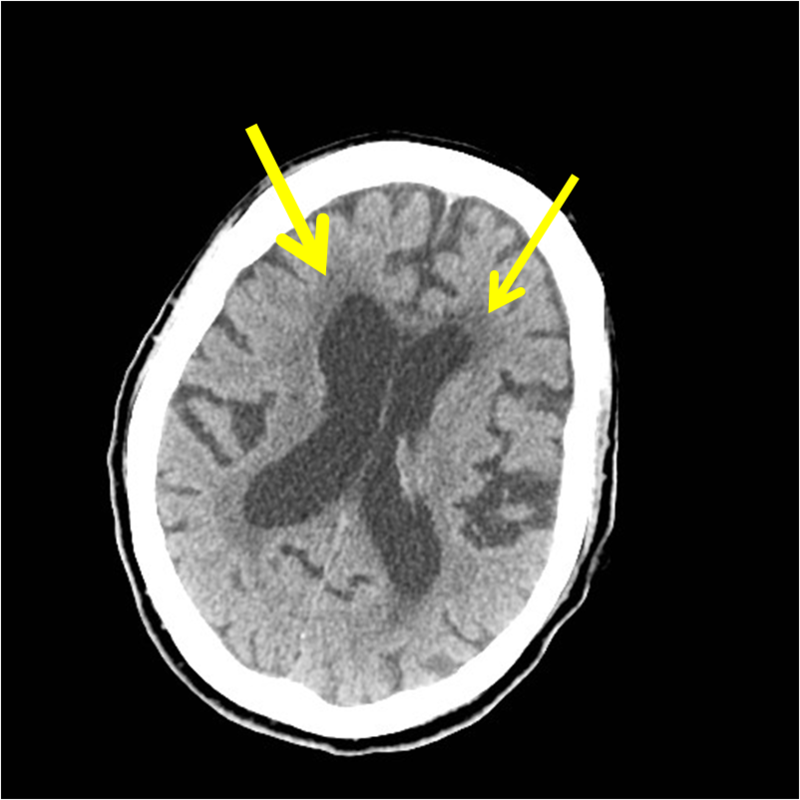 Periventricular white matter hypoattenuation: Axial CT scan of the head shows prominent ventricles, widened sulci, and hypoattenuation of the periventricular white matter (yellow arrows). This is the appearance of periventricular white matter hypoattenuation on CT. In this patient it is due to normal aging effects on the brain. The appearance of periventricular white matter hypoattenuation on CT is nonspecific and the differential diagnosis includes normal aging brain, arteriolosclerosis, multiple sclerosis, acute disseminated encephalomyelitis (ADEM), diffuse axonal injury, radiation therapy, periventricular leukomalacia, vasculitis, and other more rare entities such as cerebral autosomal dominant arteriopathy with subcortical infarcts and leukoencephalopathy (CADASIL).